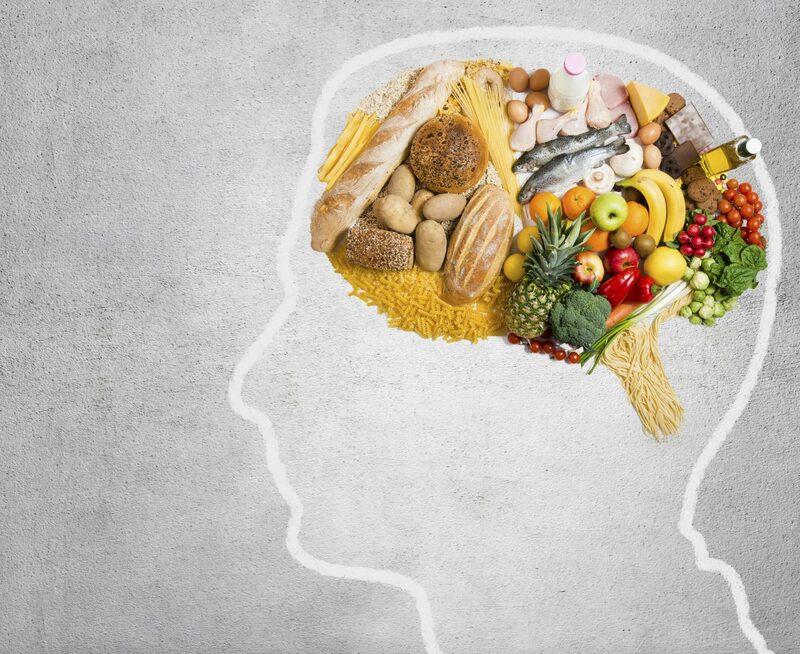 Part 1 of understanding why we make bad nutrition decisions and how to overcome them. Maybe you didn’t sleep enough last night, even though you know you’re supposed to have eight hours of quality shut-eye. There is even a slight possibility that you had set your alarm for a nice morning run, but decided to sleep in a few more minutes instead. How about your breakfast? Maybe you grabbed a quick iced pastry or *gasp* skipped breakfast, even though you’ve heard time and again, from a young age, that breakfast is the most important meal of the day. Perhaps you’ve been really ‘good’ this morning, but let’s not forget all the decisions you have in front of you like lunchtime options, afternoon workout – or not – that 3pm chocolate waiting in your desk drawer, grab takeout or prepare a good dinner, TV tonight or a walk around the block? Will you go to bed on time? As a personal trainer and fitness instructor, I spend a lot of time coaching people not only on their squats and lunges, but also on ways to adjust their daily habits to make decisions that allow their lifestyle to eventually align with their goals. How many health-related decisions do you think you make on a daily basis? Tons. And those little decisions add up to big results over time. There is fascinating research on willpower and self-control. Basically, the theory is that we have a limited amount of willpower. 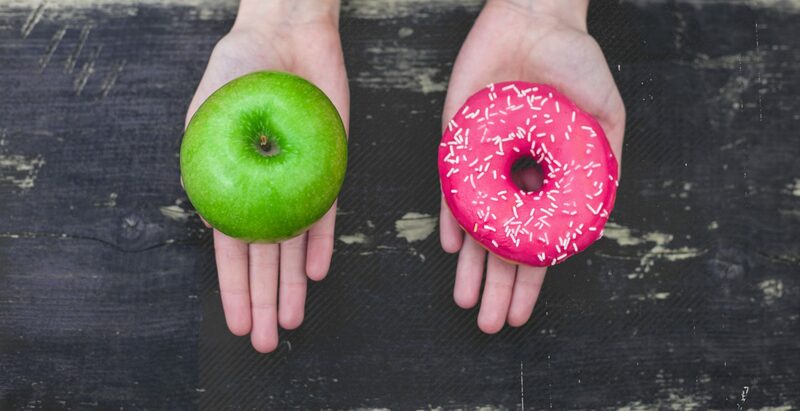 If you go for some oatmeal instead of a pastry for breakfast, and that decision required a lot of self-control, you are much more likely to succumb to the short-term, emotional option when your next decision rolls around (i.e. the cookies lurking in your office). By the end of the day, your willpower is exhausted by all these little choices. No, we’re not doomed. Here’s the good news! There are a few things that you can do to ‘automate’ your decision-making process and set yourself up for success. ‘Set yourself up for success’ is a nice way of saying that I’m going to help you limit some of your excuses for making bad decisions throughout the day. I like to use the parallel to personal finances: if you do a little work ahead of time to set up your automatic 401k or loan payments, the results will arrive later down the road without too much effort or decision-making. The trick is to prepare and set up routines, habits, and accountability that remove the opportunity for your short-term emotions to take over. With some effort up front, you can start to build a healthier lifestyle – and even enjoy it! So now you know that all is not lost, stay tuned for Part 2 for simple tips to help you set up better food-related habits. Sounds promising! Curious to learn about concrete action steps in Pt 2. The comments about self-control is perfect! My main problem is just it. I'm also curious about steps in Pt 2. This is really a great motivation for me to achieve my plan of Healthy diet. I like your writing style, I have now realized that how can I make a good plan with my diet.Thanks for sharing.